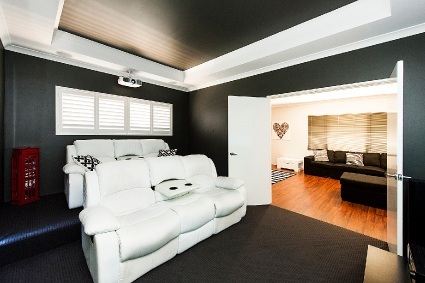 IF black and white are your shades of choice, then this four-bedroom home in Wellard is perfect for you. 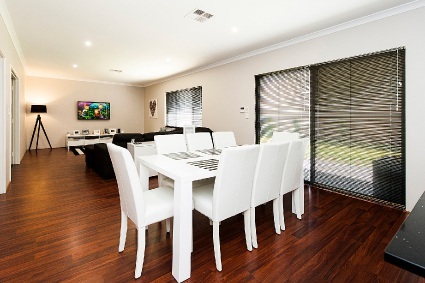 Sleek and well-cared for, the elegantly decorated house has plenty of versatile space suitable for any family. 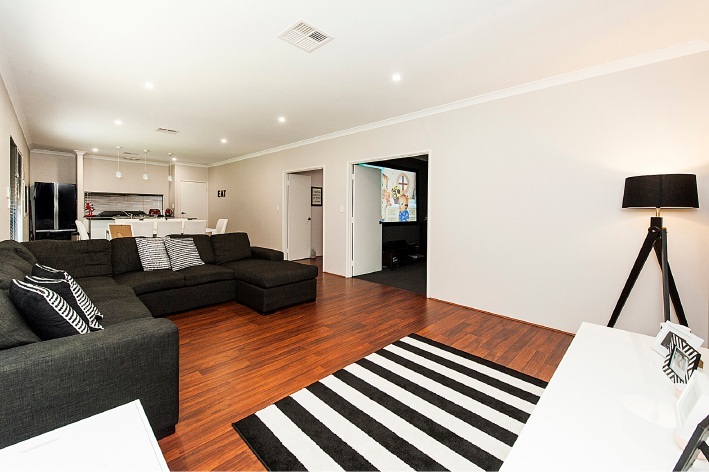 Close to the Wellard train station and village central, the 540sq m block is low-maintenance and a short walk from plenty of parks. There are high ceilings and wood-look flooring throughout the main living areas and the bedrooms have quality carpeting. 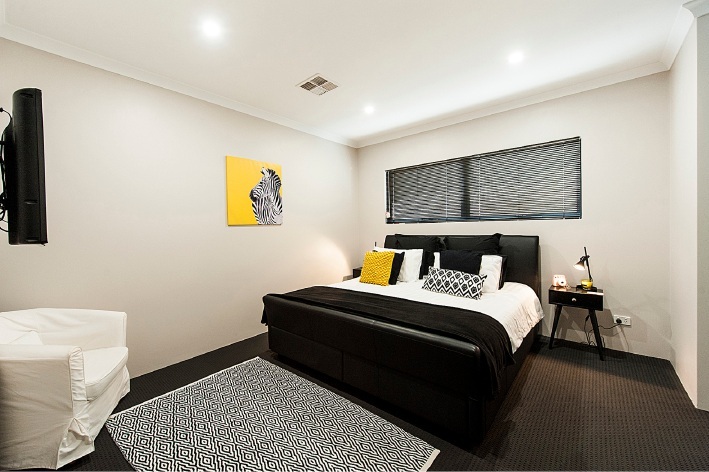 Stay comfortable all-year round with ducted reverse-cycle airconditioning, quality window coverings and good-sized windows which allow in plenty of light. 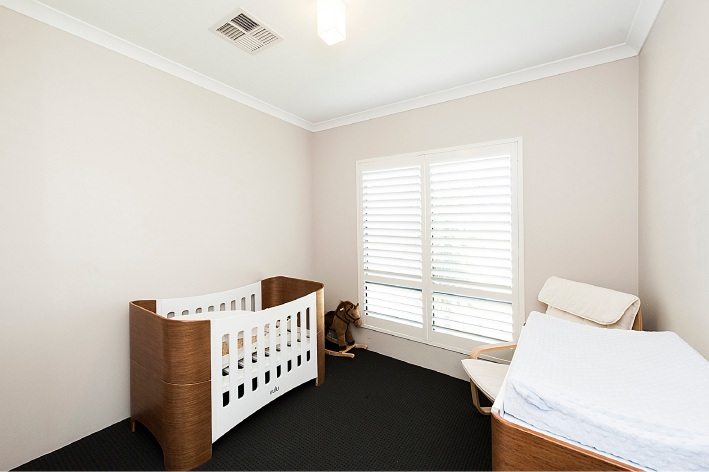 There are three minor bedrooms, close to the family bathroom with bathtub and large mirror. Away from the minor rooms is the master suite which has a dual vanity unit and large shower recess. 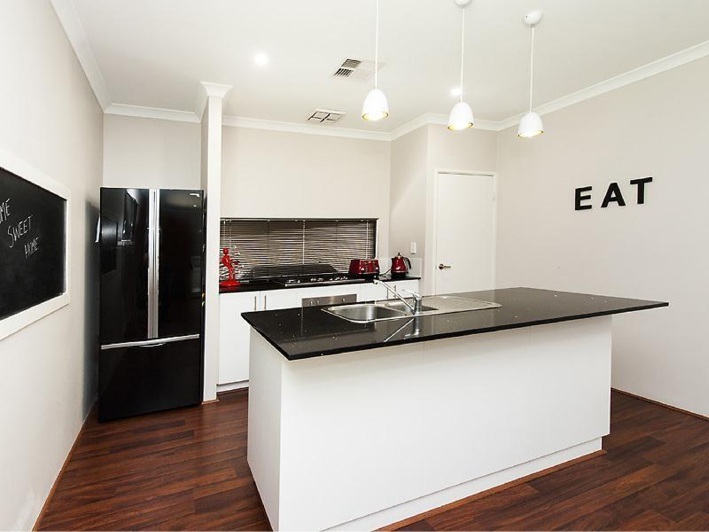 Galley-styled, the kitchen has stone benchtops, double fridge/freezer recess and a large pantry. It overlooks the casual living and dining space, which opens on to the alfresco area which is sheltered beneath the main roof. 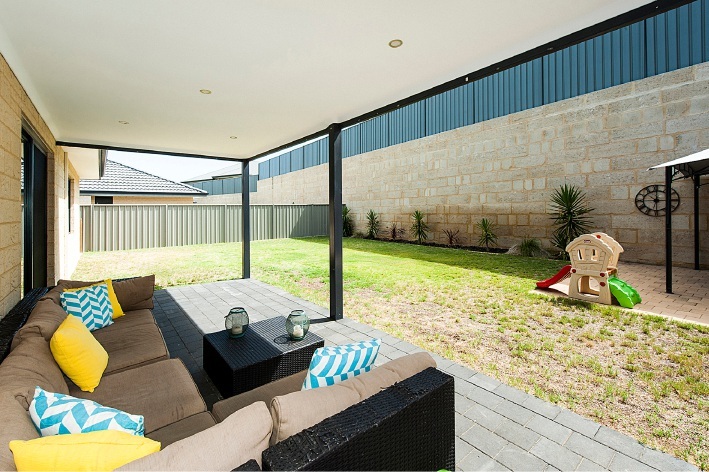 Easy-care the back yard is surrounded by high limestone retaining walls, as well as quality fencing. There is plenty of lawn for the kids to play on and room to install a pool in the future.